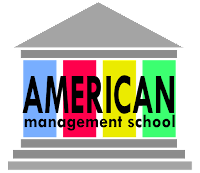 American Management School, the affiliate virtual business school of Asian Center of Education and Training, is an independent online institution. 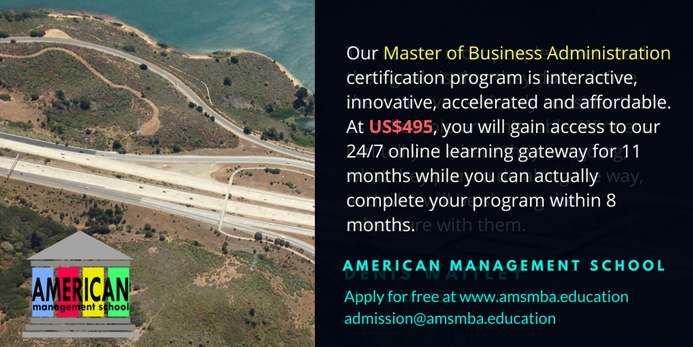 The School currently offers online MBA program with the mission to make this qualification accessible and affordable. This MBA program is well recognized by accredited universities, professional bodies and institutions across the World. High resolution soft-copy printable and verifiable MBA Certificate and transcript will be awarded on graduation. Upon request, we only charge small amount for a hard copy certificate and shipping fee. If you would like to know more about our curriculum, please visit our website for the program outline, FAQ and the simple online application form at www.amsmba.education or you may contact our Chief Admission Officer at admission@amsmba.education for further details.